We celebrated 10 years of marriage with an incredible dinner at Morimoto in Maui’s Wailea. 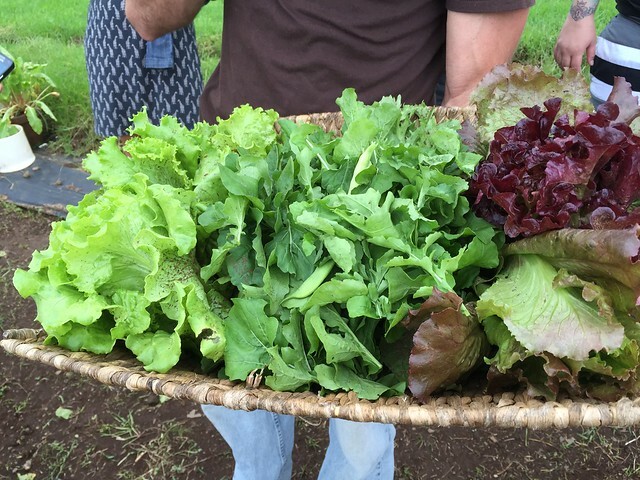 It was thrilling to place our entree options in the hands of the chef. So happy with the oyster foie gras. 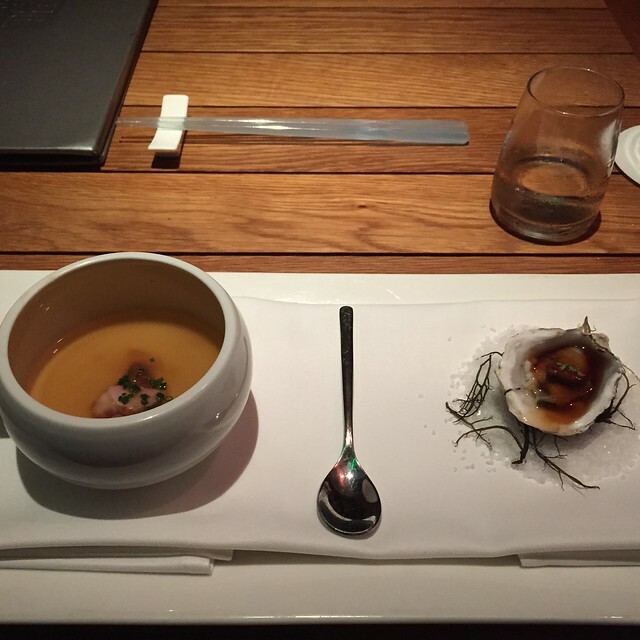 Morimoto offered an epic eating adventure, showcasing fresh seafood, delicate flavors and elegant techniques. 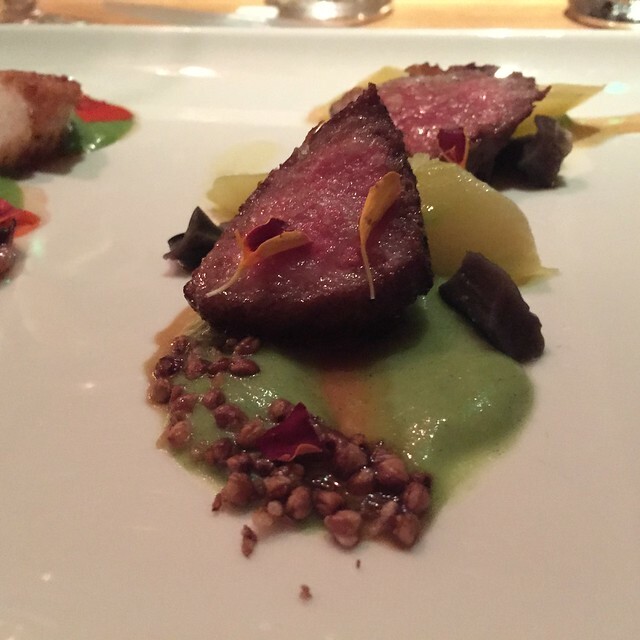 Also, the sake pairing knocked our socks off. Vegetarians must go nuts for this place. 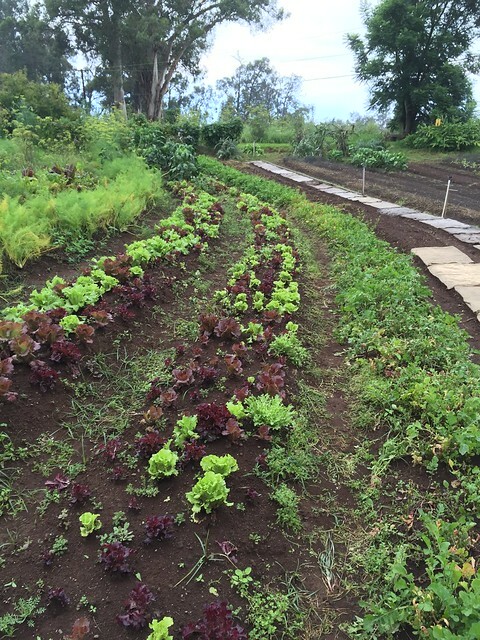 Our O’o Farm tour was one of my favorite food experiences in Maui. It was a whimsical trip. 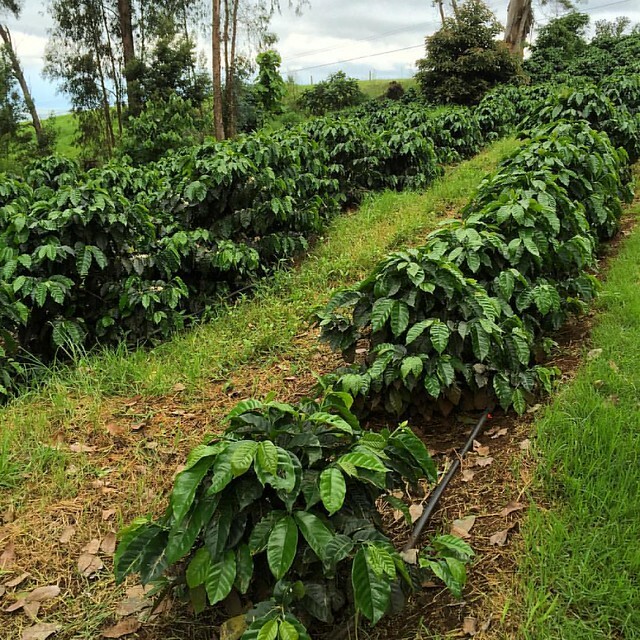 I am a suburb girl and it felt like a hoot, picking coffee cherries and nibbling on foraged greens. Like a rabbit. A very hungry rabbit. Brunch is my favorite meal of the weekend. 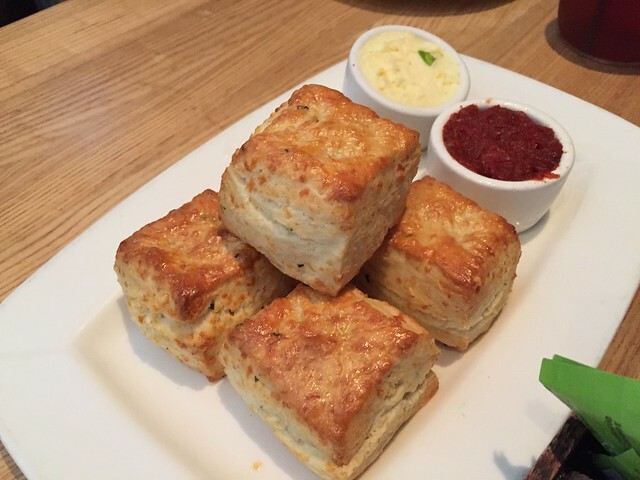 The menus offer a delightful combo of sweet and savory treats from breakfast and lunch. I enjoyed eating my way thru San Diego’s brunch scene. I do my best to work off all those tasty calories with sculpt yoga classes. 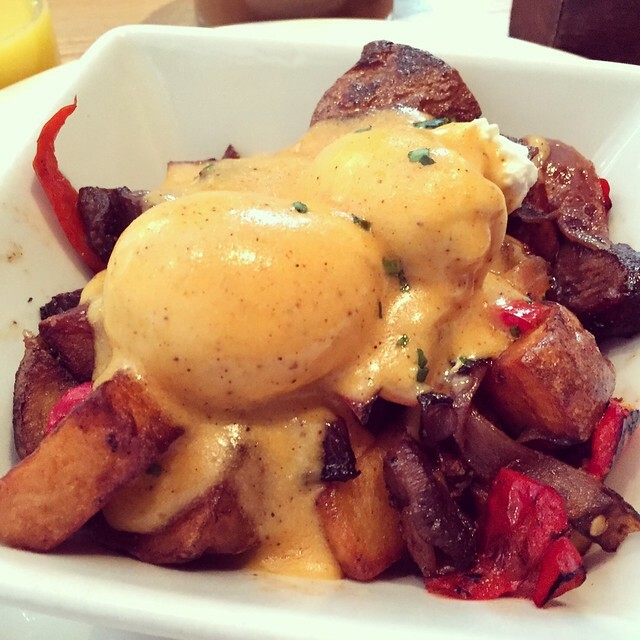 I loved this twist on the classic Egg Benedict. Solace and the Midnight Lounge adds a beef cheek hash. 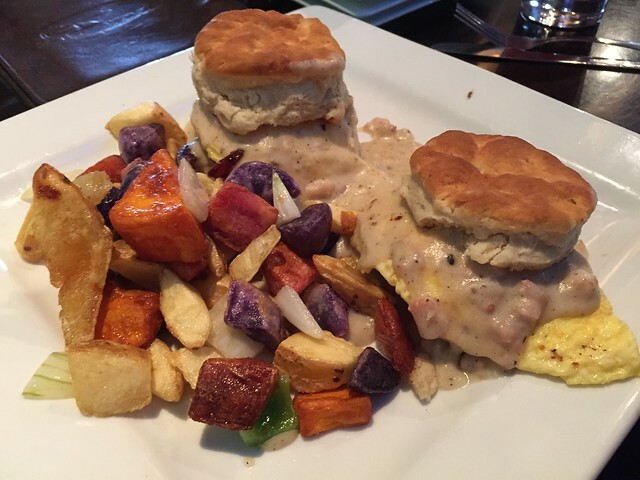 Another yummy staple for brunch menus: biscuits and gravy. I like it when I can pair biscuit and gravy sliders with a bottomless mimosa bar, like at the Duck Dive in Pacific Beach. 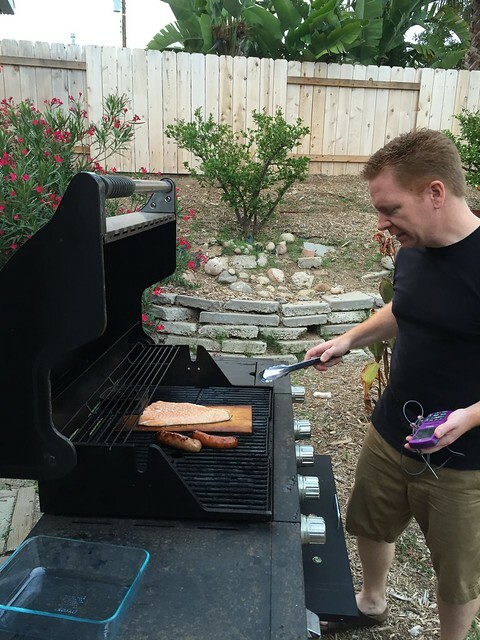 San Diego has fantastic grilling weather. 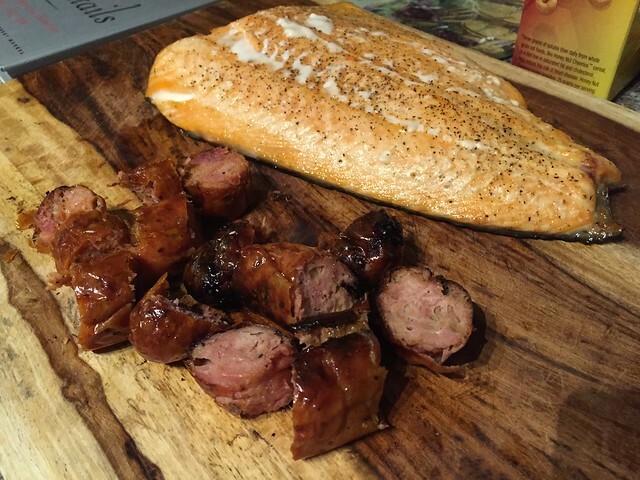 I love coming home to the smell of smoking meat and seafood. 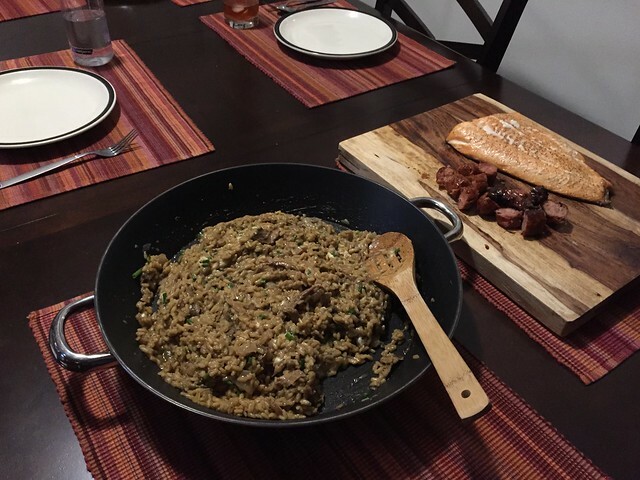 I added a porcini mushroom and gorgonzola risotto, inspired by a recipe by Giada De Laurentiis. 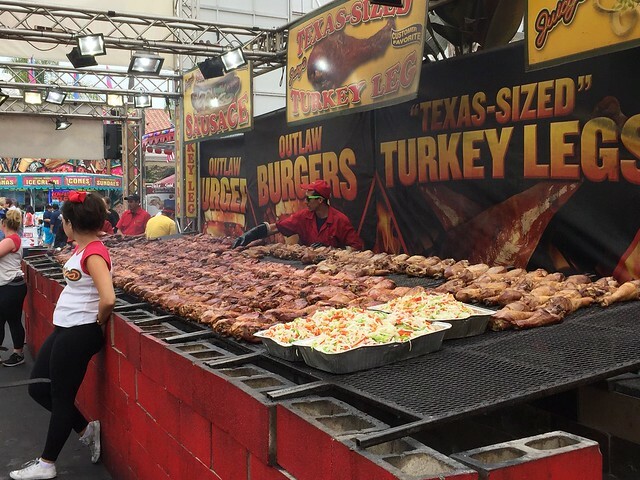 Then there’s grilling at the San Diego County Fair. 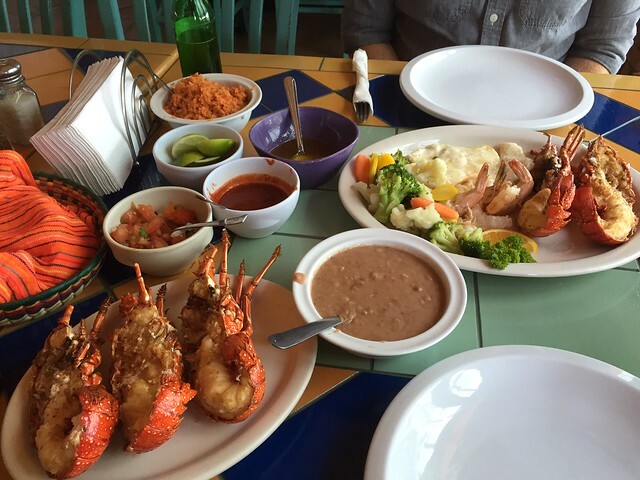 Lobster craving satisfied during our weekend trip to Baja California. Just add that amazing garlic butter! 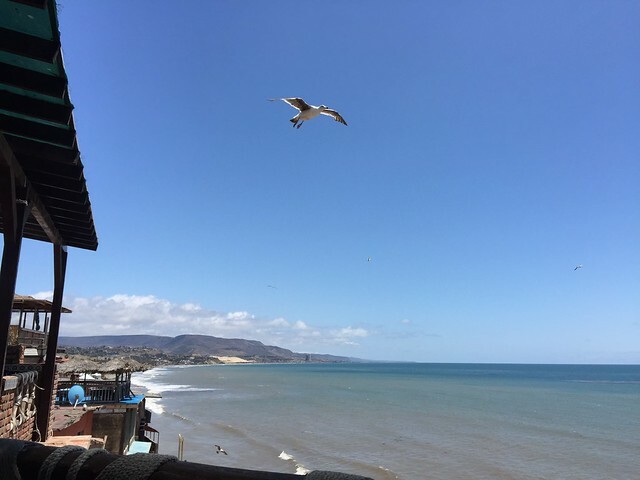 Puerto Nuevo was our first stop on our Memorial Day weekend. We ignored guys who tried to help us find parking, brushed off street vendors selling One Direction posters and knockoff Aztec shields and walked over to La Casa del Pescador. 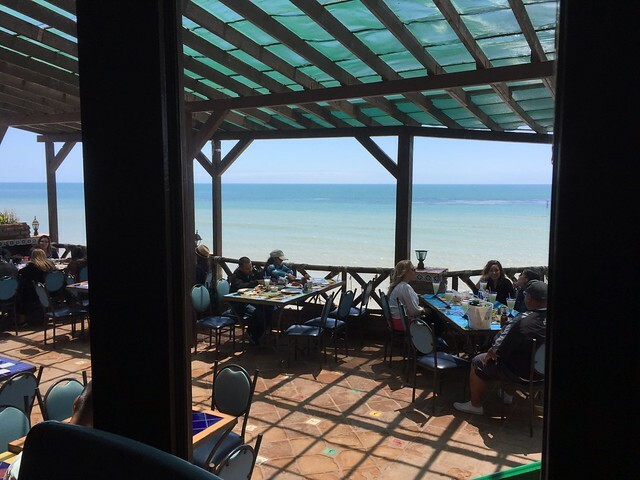 It’s a tasty spot with a beautiful view of the Pacific. Fierce winds prompted us to dine inside. Soccer matches will dominate the television sets inside. Mariachi bands will haunt your table. The food will make you wish for a nap by the Pacific Ocean. 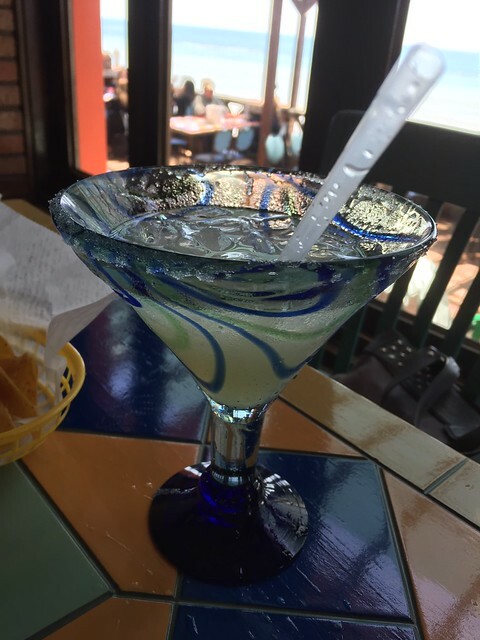 I kicked off my holiday weekend with a margarita. Mark enjoyed a fishermen’s platter with lobster, fish and shrimp. 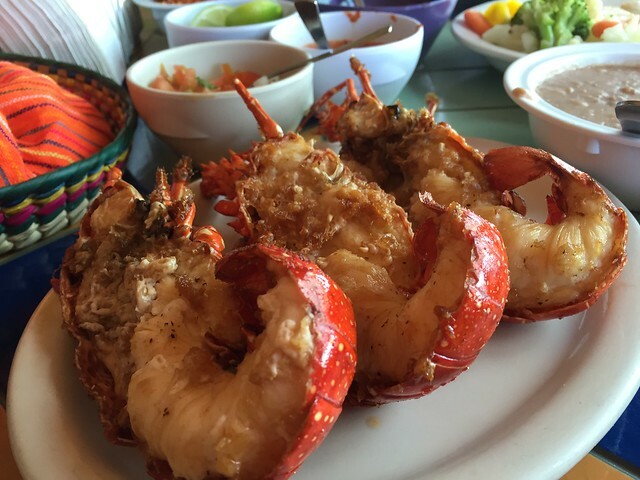 I wanted to save my belly for the Puerto Nuevo specialty: lobster. This is what my small order looked liked. They served it with garlic butter. Some yelpers called it “liquid crack.” It made the lobster taste amazing.